A delegation of French lawmakers led by National Assembly member, Thierry Mariani, will discuss pressing international issues with their counterparts in Moscow on March 17 in a bid to restore full-fledged dialogue between the two countries, Izvestia writes. The Syrian crisis, Europe’s future and the new world order will top the agenda. Russia and France set out to search for opportunities to carry on bilateral dialogue after Europe slapped sanctions on Moscow, Thierry Mariani told Izvestia. "The upcoming meeting has been organized by (Chairman of Russia’s State Duma International Affairs Committee) Leonid Slutsky," he stressed. "The two countries’ parliamentarians will partake in it to discuss the changes and problems in international politics. Moscow and Paris have had no opportunity to hold such a large-scale meeting ever since the anti-Russian sanctions were imposed." 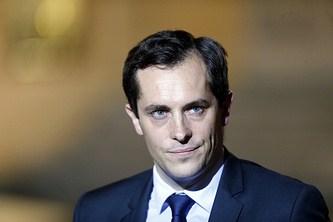 First Deputy Chairman of the State Duma (lower house of parliament) International Affairs Committee, Dmitry Novikov, has confirmed to the paper that Russian legislators are expecting a French delegation. "The meeting is scheduled to take place on March 17. We will discuss international terrorism, the political crisis in Syria and bilateral relations," he explained. Konstantin Kosachev, Chairman of Russia’s Federation Council (upper house of parliament) International Affairs Committee will join the talks as well. "I have arranged a meeting (with the delegation) along with the head of the French delegation, Thierry Mariani," the senator said. Former Ukrainian Prime Minister and leader of the Batkivshchyna (Fatherland) political party, Yulia Timoshenko, has visited Washington for the second time after the inauguration of President Donald Trump, Nezavisimaya Gazeta writes citing some Ukrainian politicians and experts. Considering the fact that Trump’s meeting with Ukrainian President Pyotr Poroshenko was postponed, some sources said that a regime change in Kiev was imminent. However, the more likely scenario is that Timoshenko herself is stepping up her political activities by getting ready for future elections. Timoshenko’s first visit to the United States was held in late January and lasted five days, with US officials emphasizing that it was unofficial. "Timoshenko’s visit to the US in January was discussed very extensively, because the Batkivshchyna party was interested in making this information public. Timoshenko had met with Trump earlier than Poroshenko, and that does mean something," Konstantin Bondarenko, head of the Institute of Ukrainian Politics, told Nezavisimaya Gazeta. A source unrelated to Timoshenko’s team informed the paper that her meeting with Trump was no mere accident. "The conversation was brief but meaningful. Along with Trump, members of the new administration, including Vice President Michael Pence, took part in it. And this is really serious," he said. In early March, Ukrainian political analyst, Pavel Nuss, noted on social media that Timoshenko had left for the United States for consultations with political strategists. According to Nuss, the goal of Timoshenko’s visit to Washington was to discuss a plan to iron out relations between Kiev and Moscow proposed by Ukrainian lawmaker, Andrey Artemenko and, possibly, a regime change in Kiev. However, Konstantin Bondarenko dismissed such assertions as unsubstantiated, saying that "there is still no person in charge of the Ukrainian policy in the US administration. "That means that there are no directives yet. Diplomats are guided by old instructions issued by the Obama administration." According to Bondarenko, Trump’s team will finalize its stance on Ukraine as soon as "a meeting between the US and Russian presidents is held and no sooner than dialogue between (US Secretary of State) Rex Tillerson and (Russian Foreign Minister) Sergey Lavrov is established." Russia’s energy giant, Gazprom, has once again postponed the commissioning of new Natural Gas (LNG) Liquefaction Projects on the Sakhalin Island and in the Baltic region, Kommersant writes citing the company’s Eurobonds prospectus. In accordance with the new plans, they will be put into operation by the mid-2020s. Thus, it can be stated that the LNG projects continue to be an additional option to Gazprom’s core activities, namely, supplying gas through pipelines. 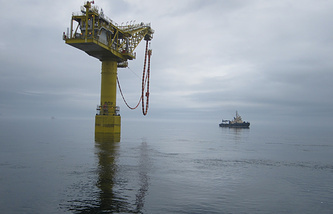 The Russian energy giant is currently implementing the Nord Stream 2, the Turkish Stream and the Power of Siberia projects and is even mulling over gas supplies to China from Russia’s Far East. Now it is clear that after the completion of the Yamal LNG project, Novatek, Russia’s largest independent natural gas producer will take the lead in the volume of LNG production, and it is likely that Gazprom will not be able to overtake the competitor, which is going to commission another plant in the Arctic region by 2025. On the other hand, the new deadlines for the implementation of Gazprom’s LNG projects look more realistic and increase the changes that they will be eventually implemented. Simultaneously, this will make it possible for Gazprom not to boost its investment program. According to Fitch analyst, Dmitry Marinchenko, if Gazprom builds Nord Stream 2 and the Turkish Stream within the annouced deadline with the involvement of the project financing, it will have to increase its debt by approximately 100 billion rubles ($16.8 mln). If the company has to finance both projects on its own, the debt will grow by 500 bln rubles. However, all these projects should be basically completed by 2021. The number of Latvian radicals who are planning to partake in an upcoming march dedicated to former SS volunteers on March 16 has tripled when compared to last year. More than 3,000 ultra-right nationalists are expected to gather at the Freedom Monument in Riga. Although this figure does not seem very impressive, this is a serious signal for Latvia, which has a population of just under two million, Izvestia writes. Russophobia and support for Nazi ideology are on the rise in Latvia. According to Riga Mayor, Nils Usakovs, last year 900 people took part in the so-called SS legionnaires’ march, in contrast, this year there will be more than 3,000 participants. This information was confirmed by the Union of Russian Communities in Latvia and the Latvian Anti-Fascist Committee. "Presently, the situation is being exacerbated, with more and more citizens supporting such events. Firstly, the march is held against the backdrop of the overall anti-Russian hysteria in the West. Secondly, by blaming Russia for everything and creating an imaginary enemy, the Latvian leadership is trying to remain in power despite the significant deterioration of the economic and social situation in the country," Alexander Gaponenko, Coordinator of the Union of Russian Communities in Latvia, told Izvestia. The authorities back this sort of nationalist fervor and refuse to prohibit the pro-Nazi marches. For its part, the National Union political party, which is part of the ruling coalition in Latvia’s parliament, is the major sponsor of such events. "At the moment, legislative initiatives are pointless, as the government patronizes these events," said Janis Urbanovich, member of the Harmony Center association, which protects the right of Latvia’s Russian-speaking population. "Besides, partners in NATO and the EU, apparently, see no threat in the revival of Nazism. On the contrary, such actions are seen as an expression of freedom of speech. In these circumstances, the political minority is unable to succeed in its attempts to prevent this march." Syrian President Bashar al-Assad has given the go-ahead to the deployment of an Iranian naval base close to the Hmeymim airbase used by Russia’s Aerospace Forces to carry out airstrikes against the Islamic State (terror group, outlawed in Russia), some media reports said citing Syrian sources. There is no official confirmation of these reports yet, but the issue was raised by Israeli Prime Minister Benjamin Netanyahu during his talks with Russian President Vladimir Putin last week, Nezavisimaya Gazeta writes. Summing up the outcome of his meeting with the Russian leader, Netanyahu told reporters that Tehran’s efforts to ensure its permanent presence in Syria chiefly motivated him to visit Moscow. 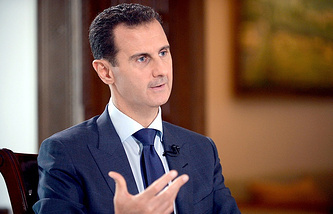 Although it is unclear what the parties have agreed on, it is safe to assume that without Moscow’s tacit consent, Assad would have hardly approved Tehran’s plans. Mohammad Bagheri, Chief of Iran’s General Staff, earlier said that the Iranian Navy could soon need bases in Syria and Yemen. At that time, that statement was seen as a propaganda move, but now the situation seems to have changed considering that Tehran is one of Damascus’ key allies in the fight against IS extremists. "If regular Iranian troops take part in military operations in Syria, Assad will win," asserted military expert Yury Netkachev. "This is very bold scenario. 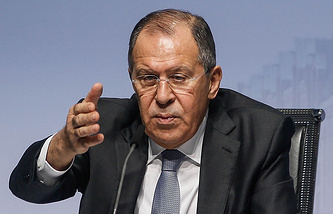 The United States, Israel, NATO member-countries, including Turkey, which is formally considered Iran’s ally in the peace process organized within the framework of Astana, will work vigorously against this," he noted. Meanwhile, political scientist and expert on Iran, Vladimir Sazhin, said that Tehran could play a more significant role in ensuring Syria’s defense capacity. "According to official statements, Iran sent only military advisers and instructors to Syria. However, according to unofficial data, the Iranian armed forces, primarily the Islamic Revolutionary Guard Corps, are participating in the fighting in that country. The Iranian forces in Syria have done a lot to save the Assad regime, but they could do more," the expert emphasized.